Where’s a place everyone is welcome, from all walks of life, of every age, where your encouraged to browse and sample books while never being rushed? Well, a bookstore of course! Here is a list of the most unique, enchanting, and magical bookstores in Denver. 1. The Second Star To The Right is a children’s book store in a cute little bungalow. Even before you enter your greeted with a whimsical little seating area that is used for story telling on warm days. Inside your charmed by the layout, decor and colors throughout the house leaving you feeling like your reading in the comfort of your own home. They have a wide range of books and the friendliest, most helpful, staff you could hope for. Not only does this bookstore have daily story times but they also host a bunch of special reading events for kids. During the winter months you can join them in their converted garage for more of your favorite stories and parties. After experiencing all The Second Star to the right has to offer it kind of makes you want to go back to being a child just so you could experience a bookstore like this as a kid. 2. The BookBar is a special kind of bookstore that combines books, wine, small bites, and many different reading events. With their comfortable couches and chairs your sure to find a cozy spot to chat about books with friends, join in book club activities or simply enjoy a cup of coffee while reading your newest book. Along with the current must have children’s books they also have a unique selection of children’s books in part due to them supporting local authors. They often have author readings, poetry readings as well as regularly scheduled story times. 3. The Tattered Cover feels like a bookstore thats been around for a hundred years. Upon entering your automatically greeted with the comforting, nostalgic smell of books, the creaky sounds of old wooden floor boards and multiple stories with peaceful little reading nooks to sample books. The children’s section is no different, filled with top notch books that would make a perfect addition to any children’s growing home library. They also host a weekly story time. The Tattered Cover is that bookstore where you always leave with more books than you planned on buying. 4. The Bookies is a little hidden gem found in a strip mall. They have an amazing selection of everything from books to educational material, teachers supplies, toys and puzzles. The staff are not only friendly but helpful and knowledgeable about the books they carry. They have so much to look at you could easily spend a whole day in there wandering through the aisles, browsing books and never tire. 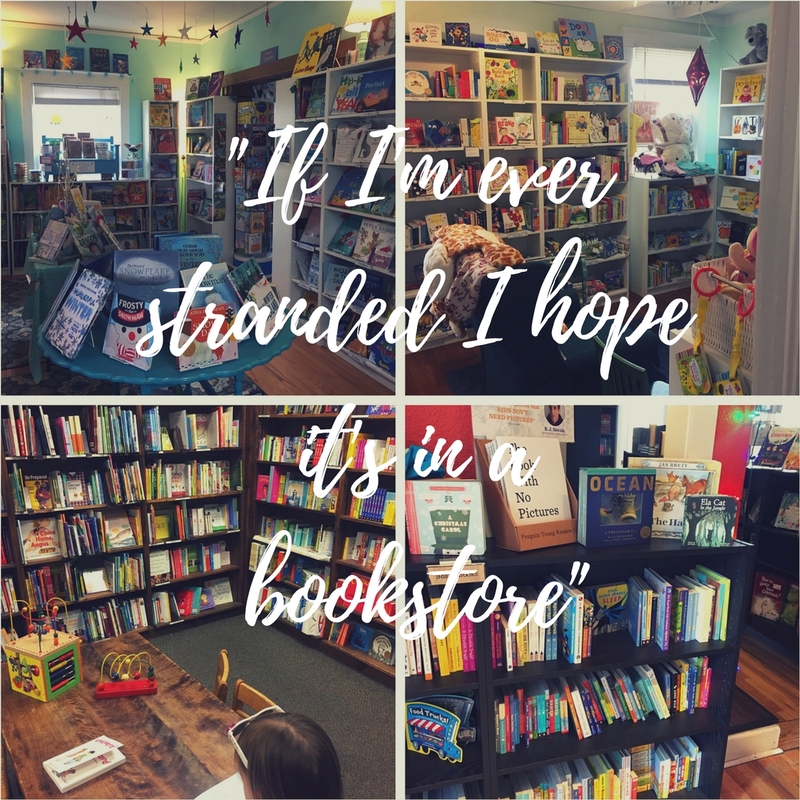 This list is a few of the bookstores my children and I frequent often but we are always looking for new places so if you have any suggestions we would love to know!